Swept round the point or sea trout for breakfast? Retreating from the Rhinns of Islay, we arrived back at the sand dunes of Ardnave Point. 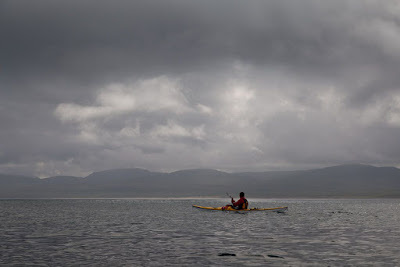 We paddled round into the sheltered mouth of Gruinart Bay where we enjoyed a very pleasant second breakfast. The local seals were hunting hunting sea trout in the river channel. If we had carried on round the Rhinns, we would have, by then, been in the clutches of the tide, being carried towards some of the heaviest surf in Scotland. The choices we make! 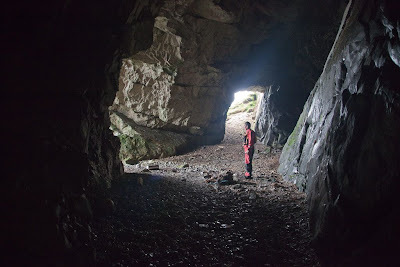 ...but on this occasion we had time to explore some of its amazing caves. The OS map describes them as natural arches. 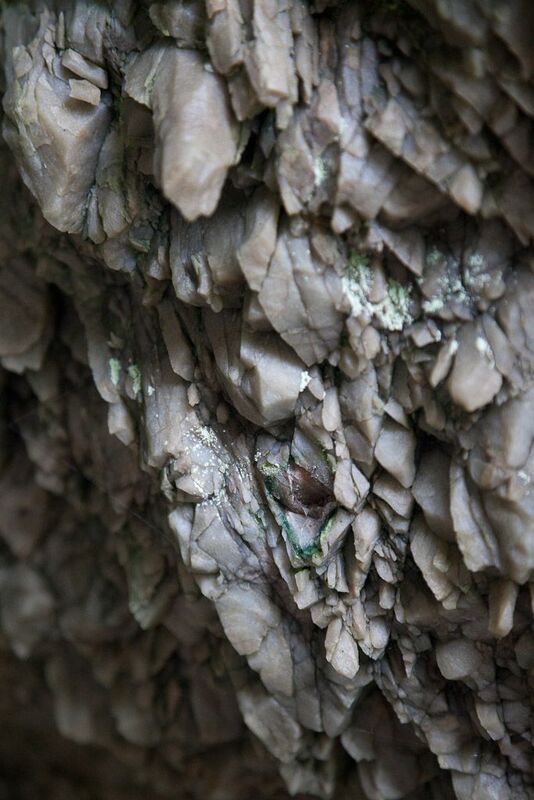 Seams of soft crystalline rock had eroded to form the caves. 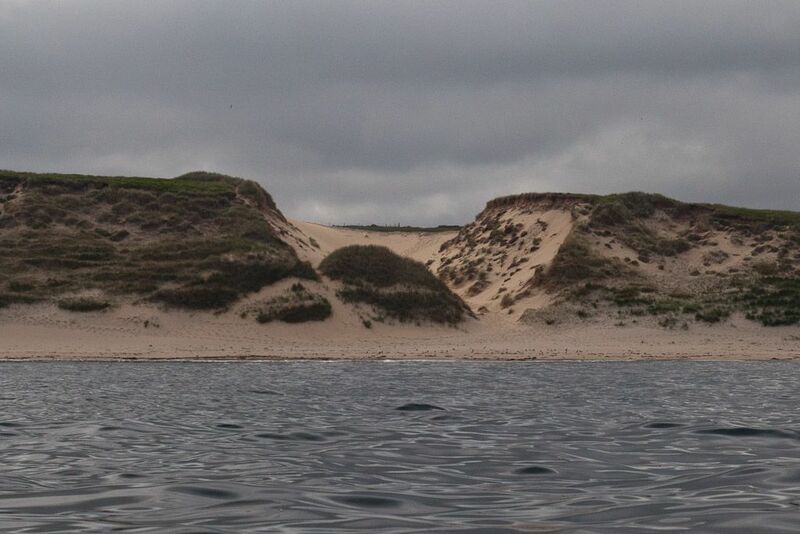 We went down a blow hole, high behind the cliffs, and went right down inside, until we came in darkness to the sea. In the depths of the cave we felt the deep booming of the surf in our chests. We were by now rather enjoying this retreating business.